Confession? Mothering scares me to death. When my boys want to leap out of trees, and dive off of cliffs. When they get that look in their eyes that says, "I can DO this!" When they ask for certain privileges they're still a bit too young for. When they get hurt playing sports. 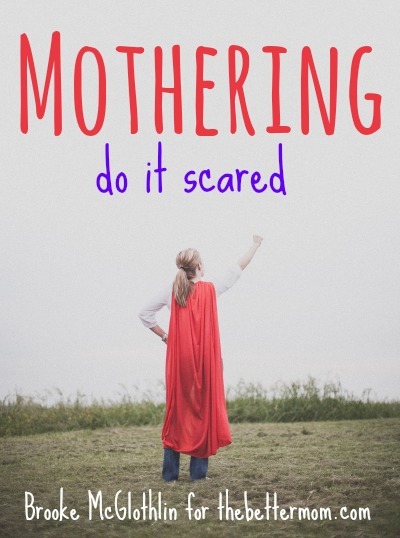 Any number of things scare me about mothering, but nothing scares me quite so much as the idea of failing. Will they grow up to be good men? Am I giving them everything they need to win the fight? Do they know Jesus well enough to love Him more than any opportunity to sin? Are they secure enough in my love for them to tell me when they need help? Are we doing a good job of making Jesus beautiful to them, so they're in awe of His goodness? Will they turn away from God? Will I have to watch them be hurt before I watch them be redeemed? Almost everything about mothering can bring us to our knees if we let it. Uncertainties abound, frustrations loom, and failures threaten to consume. The temptation to give up and let the cards fall where they may is strong, but we're called to get in the battle for our kids. So how do we get over our fears? "Are you scared? Fine. Do it scared." And while she was referring to writing, or speaking, or doing something you love, I think we can apply it to our mothering, too. Mothering demands our very best. Nothing less will do. Is there room for mistakes? Yes, and we'll make plenty of them. Is there room for mama to be tired? Weary? Yes, but there's always hope. Is there room for them to do the wrong thing? Yes, because the choices our children make, good or bad, will be a part of their unique redemption story. <----- Tweet That! So mother on, friend. Give it your best. Trust God to be true to His Word. Get in the battle. If you're scared, fine, be scared. (If you are scared most of the time, and need some help overcoming it, this article could help). 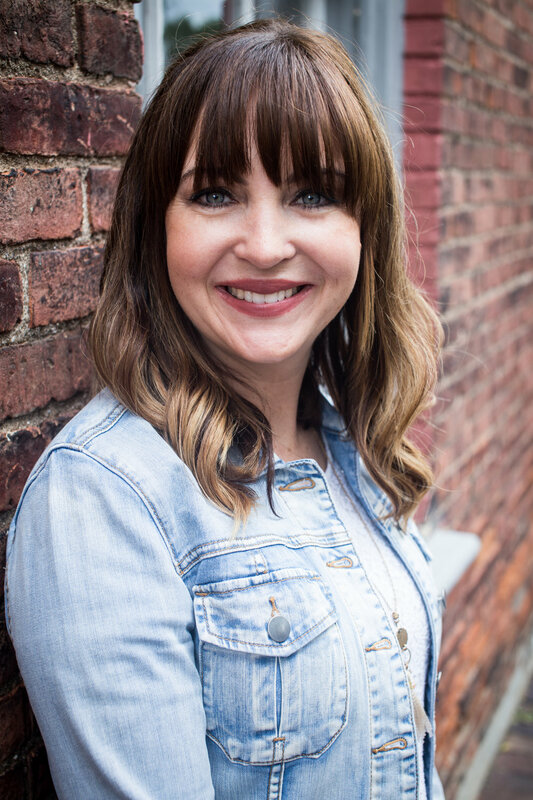 Brooke McGlothlin is Co-founder and Editor of The MOB Society (FOR moms of boys, BY moms of boys). Her first traditionally published book, Praying for Boys: Asking God for the Things They Need Most will release from Bethany House Publishers in January 2014. Oct 27 Five Things to Do When You Don't Know What to Do & Better Mom Monday's Link-up! !